Some people say that a hobby is just a hobby. It is a way to pass time and de-stress yourself from work or any problems in life. It’s something to just take you away from boredom. But once you have de-stressed, you won’t bother with your hobby anymore. But for me, a hobby is more than just a past time. It is more than just de-stressing yourself (though I admit, my stress really goes away when I do my hobbies) and taking away your boredom. A hobby is something you are good at outside of work. It is not so stressful and makes you happy most of the time. I also believe it is where you are an “expert”. All hobbies show your expertise in life--- making it MORE than just a hobby. 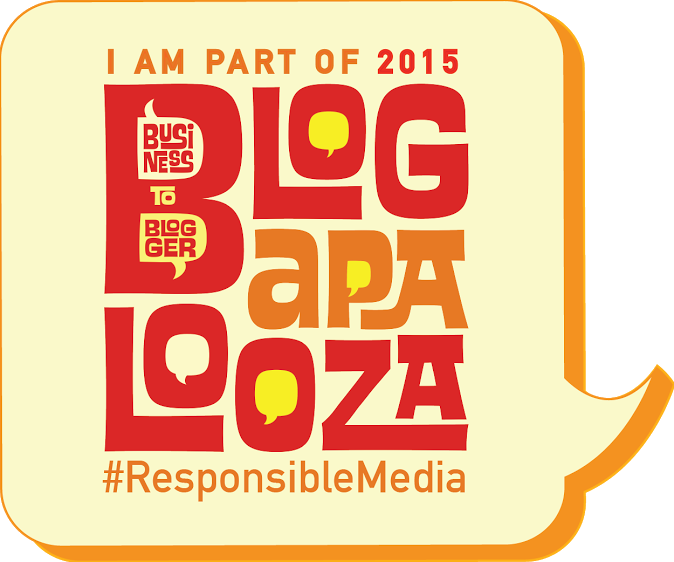 I think a hobby is a great way to show your expertise and, at the same time, use it to help people. For years, I have been looking for a hobby that I would love to do, show a bit of expertise, and use it to helppeople even in just small ways. I finally found that through cosplay. 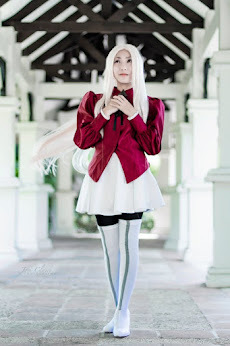 Cosplay is my hobby for three years already, so I am not yet a full expert. I know cosplayers who are already “experts” in the hobby and share their experiences and what they learn to everyone, including newbies like me. They also serve as my cosplay inspirations/idols and I want to be like them. Despite being a new cosplayer, I learn a lot of skills along the way and would love to share them to new and old cosplayers. This is one of the reasons why I created this blog: I want to help those who want to go into cosplaying by sharing tips and tutorials. Again, I am not an advanced cosplayer. But I learned a lot of things that I would like to share. I am the type who shares her knowledge/expertise because I have compassion for new cosplayers who are passionate about the hobby. 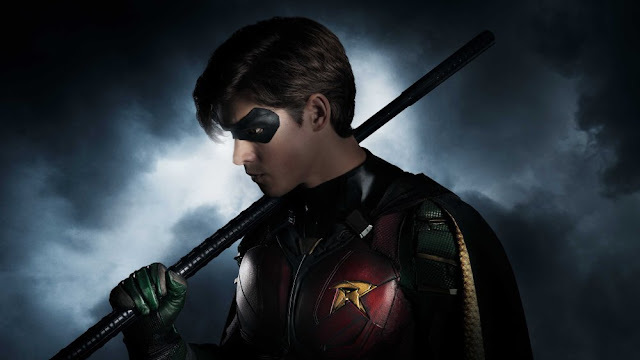 I know how it feels to be a new cosplayer and have no idea how to start my first cosplay. Yes, there is the internet, but nothing beats having someone who has experienced cosplay to show how things are done. I want to help them be better cosplayers by sharing what I know and learned. I help cosplay friends with their dilemmas and needs because of my compassion for them. Some of the things I helped them with are: wig styling, make-up, showing them where to buy cloths, and more. Just hearing their thank you’s or seeing their cosplays being great because of my help are already enough to make me happy. By simply helping them with what I know, I am already contributing to the cosplay community. 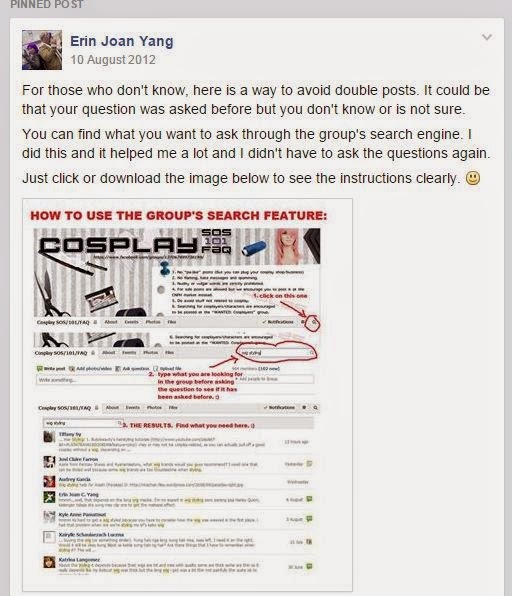 But what really makes me happy in helping cosplayers is being one of the admins managing Cosplay SOS/101/FAQ. 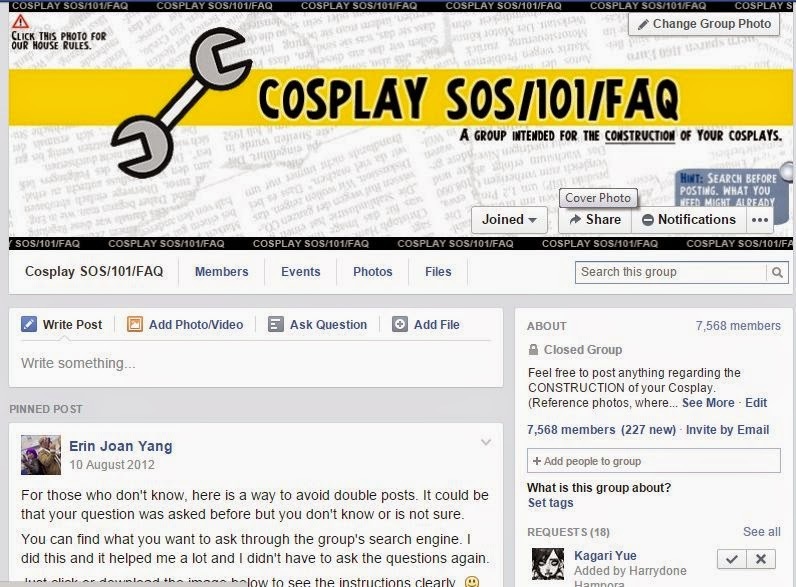 It is a Facebook Group where cosplayers can post all their cosplay questions and needs. The members and admins answer with tips, advice, and anything under the sun. I was the one who placed the post on how to use the search engine so they can find what they need easily before asking. I was inactive before, but I’m back to fixing and managing the group to make it a better place for cosplayers to ask all their cosplay needs. Sometimes, I also answer questions and share my knowledge in cosplay to the best of my abilities. As long as I help fellow cosplayers with their cosplay needs, I am always happy to help. I will continue to share my cosplay knowledge through this blog and will be posting about them in the next months. This is continuous because it is through this hobby that I can do the following: love what I do, show a bit of expertise, and use it to help other people even in small ways. This just shows that a hobby is never a hobby; that it is a way to be compassionate towards people and help them with your expertise. You can show “husay” (expertise/excellence) and “malasakit” (compassion for others) anytime, whether big or small,because you care for people. And it should not just be short-lived because the power of “husay and malasakit” is shown when it is done for a long time. In this way, you really care for those who need help and want to share your expertise to them because it makes you happy. When it comes to “husay and malasakit”, one company comes to mind and does that for a long time with their products and services. They have helped a lot of people through the years and still continue to do so. This day and age, the country has braved various calamities that, if anything, have only strengthened our solidarity as Filipinos. 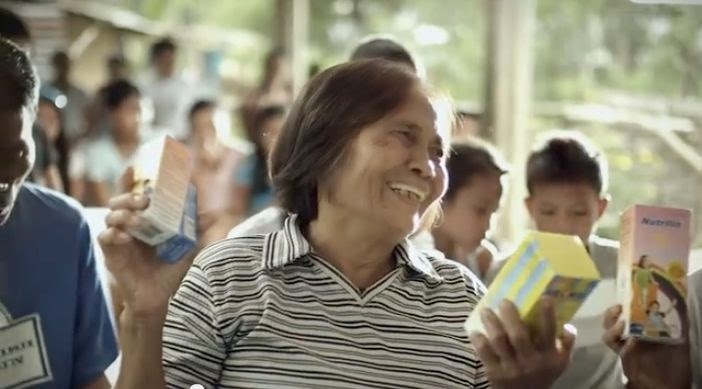 But to fully rise again as a nation, we must be able to have both excellence and compassion (husay at malasakit) in everything we do, especially when in service to others who are in need. 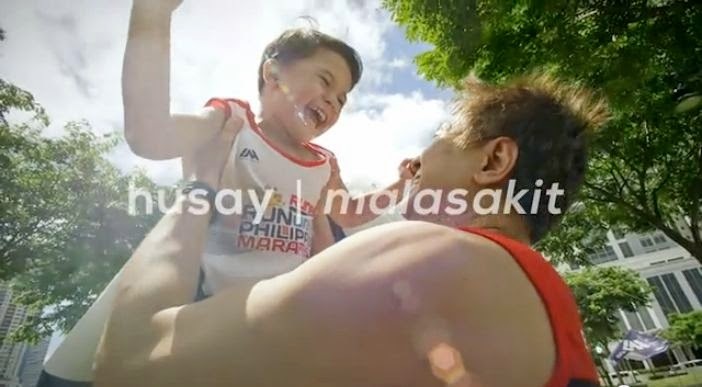 Unilab, being the biggest pharmaceutical company in the Philippines, believes in the power of husay at malasakit and has geared their company’s belief in this. In every product they produce, they make sure that their facilities and procedures are safe, so that they will be able to take care of the Filipino people better. 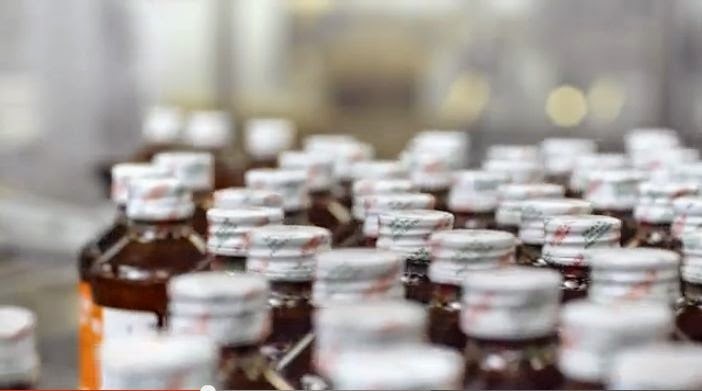 They may have changed their processes in line with the rise of technological advancement, but their heart will always be present in the manufacturing of their healthcare products. Rest assured that in all the innovations they create, the health and safety of the Filipino people are always at the core. 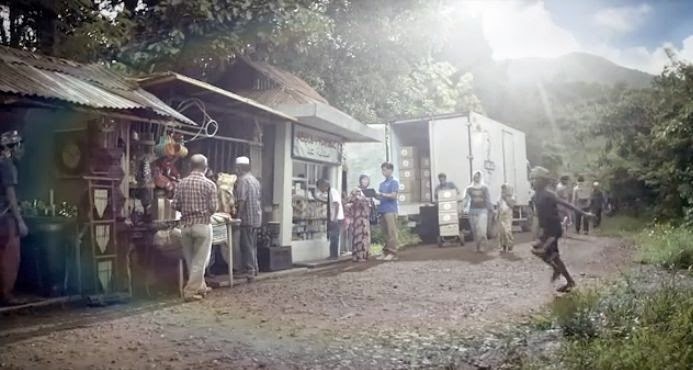 The distribution of their products are scattered across the country—from Luzon, Visayas, to Mindanao, to reach out to everyone in need of superior and affordable healthcare products. 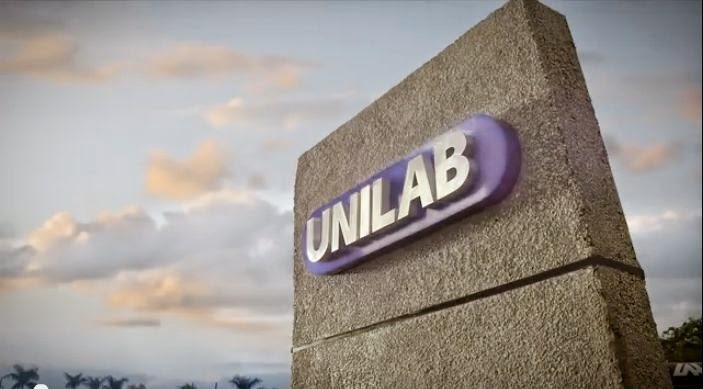 If anything, Unilab believes in the spirit of genuine concern to make the lives of other people better.